Loveable thirteen-year-old geek Milo Cruikshank finds reasons for frustration at every turn, from the annoying habits of his neighbors to his futile efforts to get Summer Goodman to realize his existence. The truth is, ever since Milo’s mother died, nothing has gone right. Now instead of the kitchen being full of music, his whole house has been filled with Fog. Nothing’s the same. Not his Dad. Not his sister. And definitely not him. 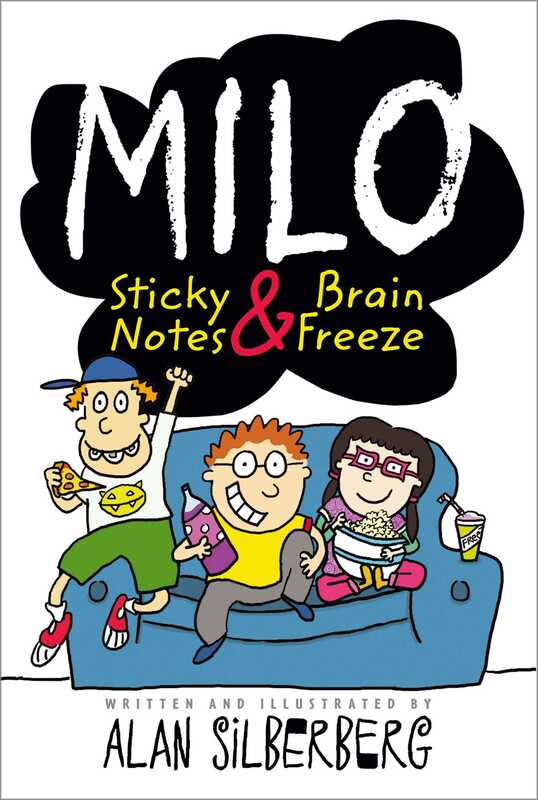 Milo achieves a rare and easy balance of poignancy and awkward, natural humor, making it deeply accessible—this is the kind of book that can change lives. 1. Does your name grant you membership in the Cool Name Club? What does it mean, and who gave it to you? Do you think Milo is right that your name either sets you up for being popular or being considered a social outcast? 2. Milo talks about his dad being a “pod person” or having a “Dad” costume that he puts on for others and takes off when it’s just family. Do you know anyone who behaves very differently around different people? Why do you think people sometimes do that? 3. Nobody in Milo’s family knows how to cope with the loss of their mom/wife, and it takes years for Milo to get to a point where he can talk about it. Are there some topics that you can’t bear to talk about? Are there certain people you can talk to when you are hurting or feel sad, or are there other ways you express your feelings? 4. 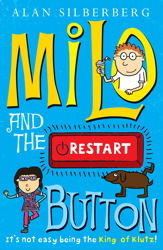 Despite his initial reluctance, Milo finds himself coming to trust and learn from both Hillary Alpert and Sylvia Poole. He can even pinpoint the moments when his first impressions proved incomplete or inaccurate. Have you ever formed a mistaken first impression of somebody that you later became friends with? What made you take a second look at that person? 5. As the story progresses, Milo, Marshall, and Hillary become better friends. What do you think defines a good friend, and how do (or don’t) these three demonstrate those traits? 6. Hillary brings Milo a funny snow globe from her trip to Texas that he ends up really liking. She also has a secret collection of broken dolls that nobody else wanted, which she lets Milo see and borrow. Sylvia gives Milo a picture frame so that he can display a photo of his mother. None of these items are particularly expensive or valuable on the surface, but they all hold some significance to the characters. What’s the best gift you’ve ever received? What’s your most prized possession that would likely have little value to someone else? How did you get it? Would you ever consider lending or giving it to someone else? 7. Hillary and Marshall give Milo very different advice on getting braces. Hillary focuses on the short-term restrictions and the long-term rewards, while Marshall tells Milo not to worry about it, to just go on with life as usual. Marshall’s version sounds more fun, but Milo can’t help comparing his friends’ teeth. If you don’t have braces, imagine you do for this question: Would you act more like Hillary or Marshall, or somewhere in between? Why? 8. Since starting at a new school, Milo has admired Summer without really getting to know her. When she beats him at a racing game while talking around her retainer, he realizes for the first time that she is a real person with flaws. He doesn’t seem disturbed to see her in this more realistic light, but rather, relieved. How do you think it helps Milo to take Summer off the pedestal he put her on? Have you ever put someone on a pedestal? How did that turn out for you? 1. Milo has a “friend test” he uses to analyze possible new friends, but he says only the criminal background question matters. Design your own friend test with five questions for potential friends. Then include a list of possible answers you would find acceptable from a new friend. 2. Milo imagines he has a suave alter ego named Dabney St. Claire who models cooler behavior when Milo is clumsy and socially awkward. What would your alter ego be like? What would his/her strengths be? Draw your alter ego and include a list of personality traits that make him/her so cool and/or different from the real you. 3. Milo and Marshall regularly debate the ideal superpower. If you could have any superhero power in the world, what would it be? What would be your strengths? Your weaknesses? How would you use this superpower for good and/or evil in your community or world? Draw or create a collage of you as this superhero. 4. Form groups of three. Pool your resources, and using only what you all have in your backpacks, lockers, or desks, figure out at least one option for a last-minute Halloween costume. Sketch it out and explain who contributed what to the design. 5. Certain smells, textures, and objects are strongly tied to Milo’s memories of his mom. In his attempt to lessen the family’s grief and prevent painful memories, Milo’s dad removes many significant little items from the house, leaving Milo and his sister feeling like their mom is also disappearing. When Sylvia explains to Milo that ”things attach to memories” he decides that maybe his family needs a little reminding to help them remember the good times, too. By collecting these items, bringing the photos down from the attic, and finally talking about his mom, some of the fog is lifted and his mental “snapshots” of her become clearer. Pick five of your family members and close friends. For each person, write down two objects, smells, or sounds that most remind you of them. At least one of the two reminders should be something that you could take with you in a small suitcase if you had to be apart for a short while. Students can then present their tokens to the class and explain or relay a short story on why the object is significant to them. Alan Silberberg is a children’s TV and film writer who has worked for Disney and Nickelodeon, among other major companies. Originally from the Boston area, he lives with his family in Montreal, Canada.